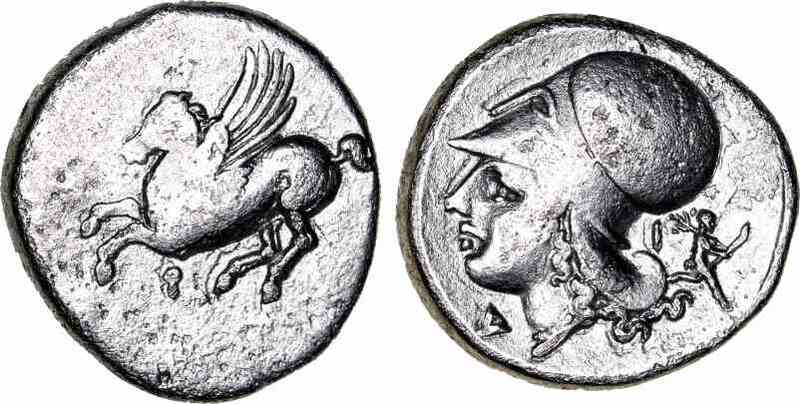 Silver stater, 21mm, 8.23gm, issued 100 BC. Obv: Pegasus flying left, Q below. Rev: Helmeted head of Athena facing left, Δ before, I behind head with running Artemis holding torch. References: see Sear 2629, SNG Cop 98.